Months after the official announcement in Sep, the Samsung latest mirrorless interchangeable lens camera NX200 is available in Singapore. Here’s a list of new features to get you excited. Direct Manual Focus option lets you adjust focus manually after you half-press the shutter, even if the focus is not locked. When doing multiple shots per shutter press, the photos are grouped together during playback so that you don’t have to scroll great lengths to get to the next set of photos. Very useful if you shoot like 30 frames burst mode! Burst mode (10/15/30fps) images are now in 5mp size. Auto ISO works in Manual mode. What this means is that when you set your own Aperture and Shutter, the NX200 will select an ISO to achieve the correct exposure. Of course, you can select your own specific ISO. In Aperture or Shutter mode, you can adjust the aperture or shutter using either the top jog dial or the navigation wheel, and of course via the iFn button on the lens. Saves the need to remember. In Movie mode, you can use the P/A/S/M to set your shutter and aperture independently. In Movie mode, you can set recording speed of 0.25x to 20x. The USB port that connects the NX200 to the computer is the generic micro-USB size similar to mobile phones. Direct buttons and controls – ability to make changes to shooting parameters instantly. APS-C Sensor – ability to capture images with greater details and lower noise. User Interface – more interactive and guided for the users who needed the extra help. Together with NX200 launch, Samsung has launched some of the much sought-after lenses. While the NX200 is the smallest NX camera by far, the dimensions are well balanced without sacrificing usability. The grip size is about the same as NX11, the body dimensions are similar to NX100 except it’s shorter. Although the body appears thinner, the mount actually protrudes a lot out of the body, a trick many mirrorless makers use now. The most important question beckons: how does the image quality of the 20.3 megapixel APS-C sensor look? 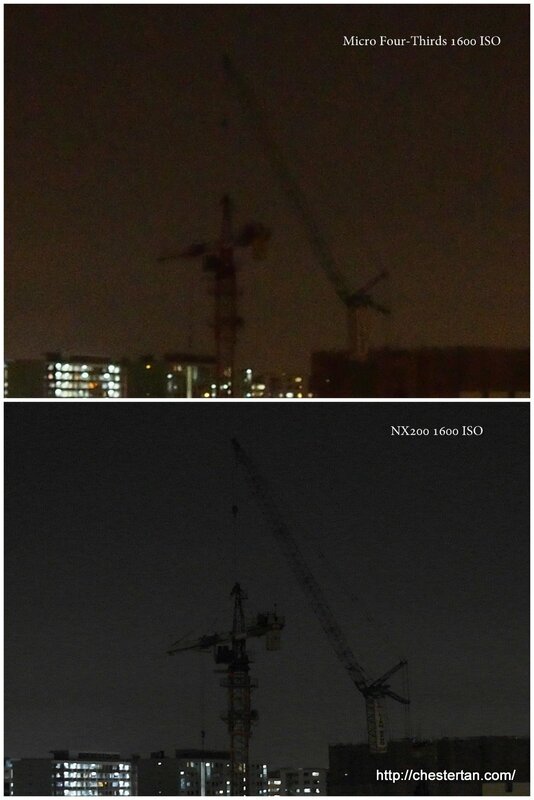 The NX200 has definitely improved noise level. 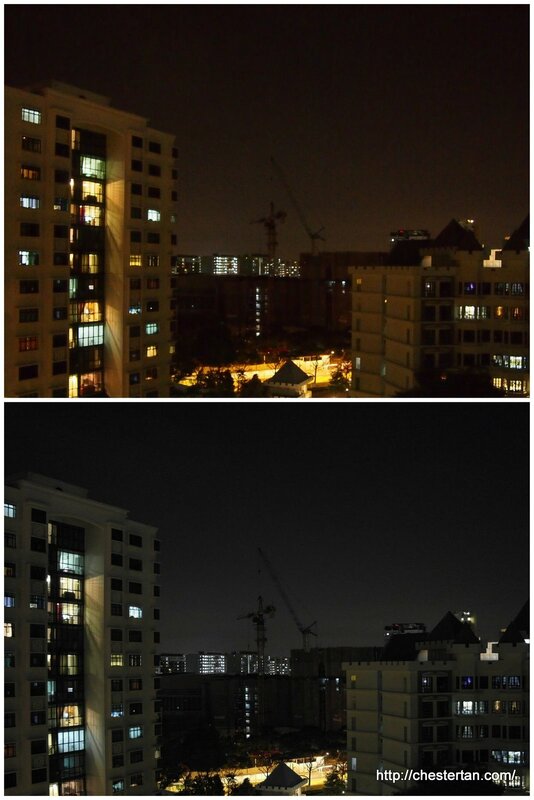 Here’s a comparison with Olympus E-PM1. 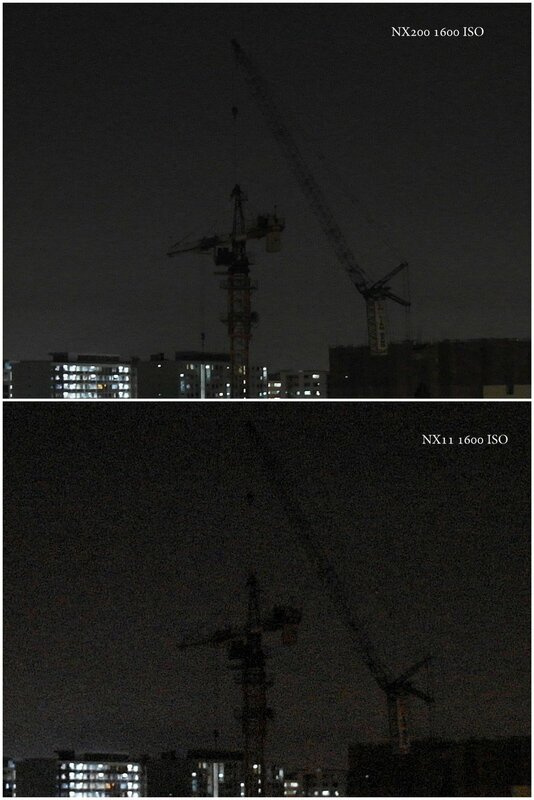 Here’s a comparison with the NX11. I find that beyond ISO 3200, the NX200 exhibits higher levels of chroma noise, and at ISO 12800 becomes unusable. While the Micro Four-Thirds competitors appear to have less distinct chroma noise, they lose in image details. Sony NEX appears to retain the upper hand in terms of sensor quality, but the camera design and lens range may be less appealing. Samsung NX200 continues to offer direct shooting controls and implement thoughtful physical design (like good grip) to attract both traditional photographers and new users. Samsung has revamped its shooting interface to improve usability, although as an advanced user myself I find that it is beautified at the expense of operational efficiency. NX200 requires more time to save images in continuous burst mode and in RAW, but otherwise retains the lightning-fast startup and shot-to-shot speeds. NX200 combined with pancake lens looks ugly. It makes impression that the lens and camera do not belong together. Sony lens/camera combination is beautiful. Samsung is ugly. Thanks for the review. I'm eagerly waiting for the NX20 release. I really like the ergonomics of the NX11. Didn't buy it because of the poor EVF quality. 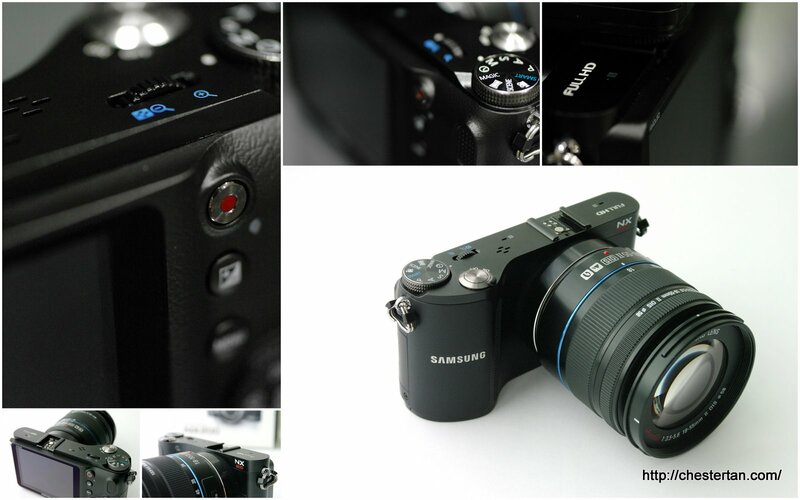 I hope Samsung gives the NX20 bigger buffers for faster processing of the huge RAW files. Other than that I think the NX is a good system as a whole considering the nice lenses available. Sony NEX sensors may have lower noise at higher ISO, but unfortunately and sadly Sony is still not producing decent lenses for the NEX system.